Ean has been a Licensed Massage Therapist and Nationally Certified for almost 8 years with a wide range of experience in many different settings and three different states, Louisiana, Alabama and California. He focuses on each clients needs professionally with a holistic approach and belief in the healing power of massage. Each session is based on the clients present situation and deals with their particular issue. 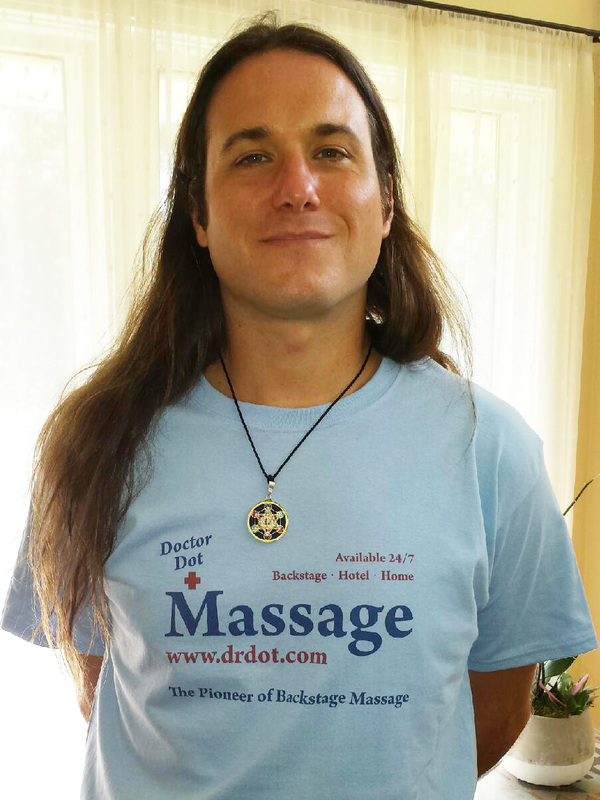 He provides Deep Tissue, Sports, Swedish, Reflexology and Sound Healing modalities and incorporates Aromatherapy, Active Stretching and basic Lymph Drainage. This entry was posted in Dr. Dot and tagged 24-7, alabama, anytime, anywhere, aromatherapy, backstage, Biloxi, blog, Deep Tissue, delivery, Dr. Dot, Ean, home, hotel, male, massage, mobile, new orleans, office, Pensacola, reflexology, service, sports massage, studio, swedish, venue by Matty Davies. Bookmark the permalink.